Amid Gov. Jay Inslee's push to reduce carbon emissions throughout Washington, positioning the state as a leader in green energy and a groundbreaker in renewable power production, a notable milestone took place this week. Energy Northwest celebrated the 30th anniversary of the Columbia Generating Station in Richland, the only nuclear power plant in the Northwest. Originally built as part of the doomed Washington Public Power Supply System -- unfortunately and ironically pronounced "Whoops" -- the plant in fiscal year 2014 generated a record 9.7 million megawatt hours of electricity and, in the process, contributed to the revival of a debate over nuclear energy. It is a debate worth having as America works to reduce its reliance upon fossil fuels, to develop renewable energy and to ensure power for future generations. The nuclear power industry in the United States has been a star-crossed one for the past 50 years. Starting when the Yankee Rowe Nuclear Power Station came online in 1960 in Rowe, Mass., nuclear energy was considered the future of power production. But the industry quickly came to be viewed with skepticism by environmentalists for the danger presented by a potential reactor meltdown and for the enduring problems created by the radioactive waste that is a byproduct of production. When a 1979 accident at the Three Mile Island facility in Pennsylvania brought those concerns closer to reality, Americans started to rethink the balance between the potential benefits and potential risks of nuclear power. When a 1986 meltdown at the Chernobyl plant in Ukraine directly killed 31 people and created environmental and health hazards that still linger today, public opinion of the industry underwent a wholesale shift. No new nuclear plants have opened in the United States in the past 25 years. The inherent dangers of nuclear energy provide a powerful argument against the product. Yet the benefits have come to be viewed in a more favorable light in recent years. Like wind and solar energy, nuclear energy emits no greenhouse gases (although the extraction of the necessary uranium and the construction of nuclear plants certainly do). It doesn't face the price volatility of natural gas. And, according to the Wall Street Journal, "it actually has a better safety record than the coal industry." Of course, while coal can present dangers to the miners who extract it and to the public that breathes its emissions, it doesn't have the potential to kill thousands with a single accident like nuclear energy. Meanwhile, the radioactive waste that results from nuclear power generation remains a drawback. Despite multiple instances of Congressional approval and the expenditure of billions of dollars, the development of a national nuclear repository at Yucca Mountain, Nevada, remains on hold, leaving spent fuel rods that have a half-life of thousands of years to remain in "temporary" storage. 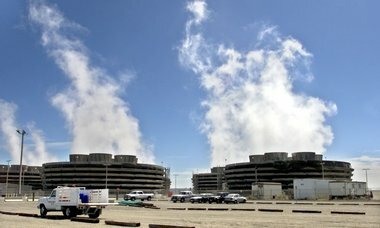 For example, waste from the Trojan Nuclear Power Plant, which operated from 1976-92 near Rainier, Ore., remains buried at Washington's Hanford Nuclear Reservation. Yet, even some environmentalists are reconsidering the potential of nuclear power, and a recent item in The Washington Post's Wonkblog appeared under the headline, "Why climate change is forcing some environmentalists to back nuclear power." The Northwest, being blessed with abundant hydropower, has many options when trying to distance itself from fossil fuels. Nuclear energy should at least be in the discussion.